The administration of US President Donald Trump has proposed spending $18 billion over the next 10 years to construct his controversial wall on the border with Mexico, a new report says, providing what could be a blueprint of how the president hopes to deliver on his signature campaign pledge. The proposal brought by the US Customs and Border Protection extends the existing physical barriers by 316 miles (505 kilometers) before September 2027, increasing the total length of the wall to 970 miles (1,552 kilometers), nearly half the border, the Associated Press reported Friday, citing a US official with direct knowledge of the matter, presstv.com reported. The plan also suggests 407 miles (651 kilometers) of replacement or secondary fencing along the border, said the official. Trump made quite a buzz during his 2016 presidential campaign by promising to build ‘a big, beautiful wall’ to curb illegal immigration, a pledge that went on to become a centerpiece of his campaign and later on an attacking point for his critics. Facing stiff opposition from the Democrats in Congress, the Republican head of state has so far failed to offer a thorough plan as to where the wall would be built, when and at what cost. The US president urges massive cuts to domestic programs to pay for his proposed wall along Mexico border. In his 2018 budget bill, Trump has asked for $1.6 billion in funding to build or replace 74 miles (118 kilometers) of fencing in the two southern states of Texas and California. According to the report, officials will seek another $1.6 billion next year. The 10-year plan was put together after discussions with senators who had talked to the agency about border security, the unnamed official told AP. The news comes amid intense negotiations in Congress between Democrats and Republicans about an immigration package that may include granting legal status to about 800,000 immigrant children who have received temporary protection from deportation under the Deferred Action for Childhood Arrivals (DACA), an immigration policy founded by former President Barack Obama. Trump said last year that he was ending the program and gave Congress until March to deliver a legislative fix. He has made it clear that the funding for the wall must be included in any immigration package that concerns DACA recipients. 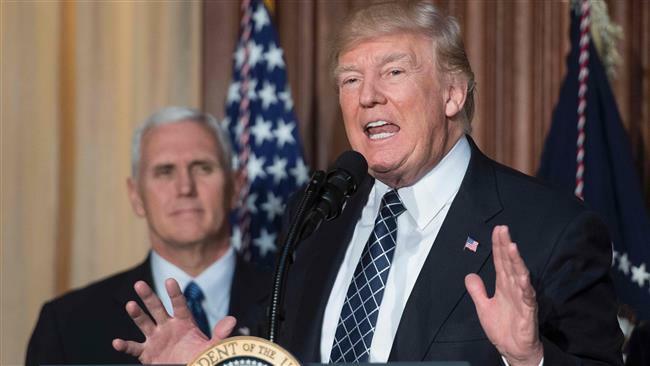 Trump said Mexico will pay for the wall, a claim that leaders of the southern US neighbor have steadfastly rejected.